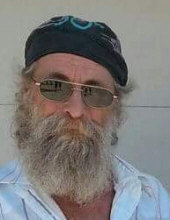 Celebrating the life of Loren Dwayne Brown Sr.
Obituary for Loren Dwayne Brown Sr.
Loren Dwayne “Brownie” Brown Sr., 63, of New Bloomfield passed away on Thursday, March 14, 2019 at Capital Region Medical Center. He was born on August 9, 1955 in New Bloomfield, the son of the late Harmon Earl Brown and the late Ruby (Fin) Brown. On July 5, 2017, he was united in marriage to Helen (Trowbridge) Brown. While legally married two years, they were together many more. Helen survives at their home. Dwayne worked as a concrete finisher. In 2017, he retired from Sam Gaines Construction. An avid outdoorsman, Dwayne loved to hunt, fish, and participate in shooting matches. He also liked to race muscle cars and enjoy a bowl of chocolate ice cream. He is survived by his wife, Helen; sons, Loren Brown (Angie) of New Bloomfield; David Herman Brown (Erica) of Springfield; Brad Brown (Jessica) of Mokane; daughter, Desra Brown of Springfield; step-son, Richard Dennis of Jefferson City; step-daughters, Melissa Hood (Joe) of Taos, and Sheila Riley (James) of Corpus Christi; brothers, Bob Brown (Nancy) of New Bloomfield, James Allen McDowell, Leroy Saunders; sisters, Sharon Kay Barton, Mary Robinett, and Dorothy Grizzle ; and ten grandchildren. Memorial services will be held at 11:00 a.m. on Tuesday, March 19, 2019 at Dixie Christian Church in New Bloomfield with Pastor Mike Crowson officiating. To send flowers or a remembrance gift to the family of Loren Dwayne Brown Sr., please visit our Tribute Store. "Email Address" would like to share the life celebration of Loren Dwayne Brown Sr.. Click on the "link" to go to share a favorite memory or leave a condolence message for the family.